Do not jail the murderer! I just witnessed one wading through a crowd of shrimplets. It showed no interest in them at all. 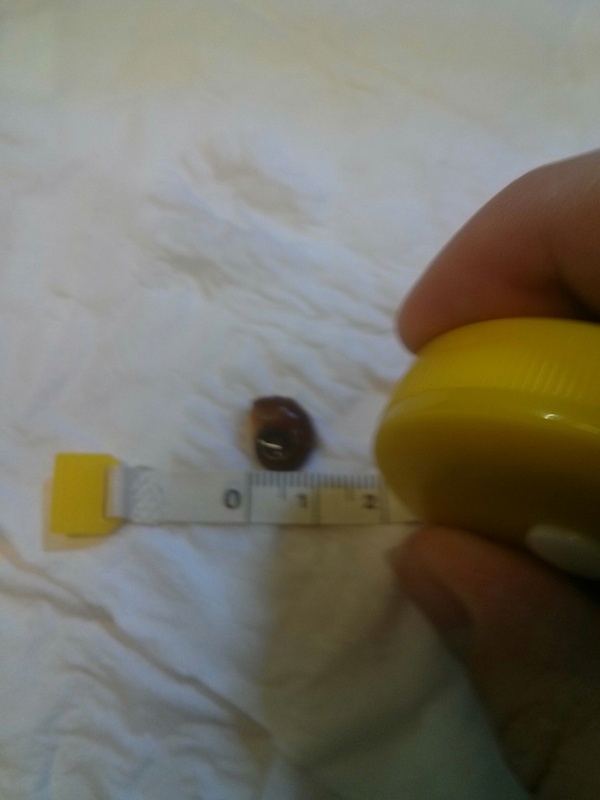 I did catch 5 crabs, 4 larges (around 1.3~1.5 cms wide) and a small one (less .5 cm). By the time I went back home, I found one of the bigger snacking the small one Cannibal!!! After drip acclimatation, I drop them in the tank, and they immediately disappearred under the driftwood. That was a week ago, and I haven't seen them till this day. Though, everything seems normal, the 4 discus are fine, so are the other fishes and the red cherries. The positive point is that it seems the ramshorn are decreasing in number. Any idea what is their life span?? I'm guessing 2+ years, but I'll ask Harrison since he might have a better idea! Lucas, J. S., 1980. Spider crabs of the family Hymenosomatidae (Crustacea; Brachyura) with particular reference to Australian species: systematics and biology. Records of the Australian Museum 33(4): 148–247. Why do I want crabs?? Cool thanks! Just wondering where can I get my hands on them? Is Harrison still selling by any chance? Probably because we don't actively promote sales here. You might have better luck on one of the Facebook groups but I haven't seen these available for a little while. Any suggestions as to which Facebook groups I should have a look in?? 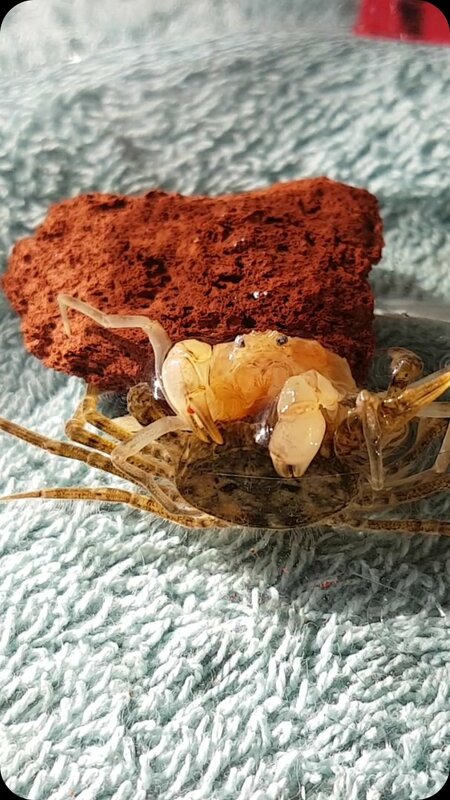 Unfortunately it appears that the native micro crabs are only found down south, but there is bound to be a similar species found in our northern waters. Two of my favourite natives that are harmless in my tanks would have to be Notopala snails and these whopping great black shelled snails. Hi. These are sometimes sold at pet stores as 'Giant Burrowing Snails'. I have them breeding in a small shrimp tank. They're awesome. A brown version of a Malaysian Trumpet Snail that gets quite large. Some of mine are almost small thumb size. Can uproot new stem plants however. Highly recommended. 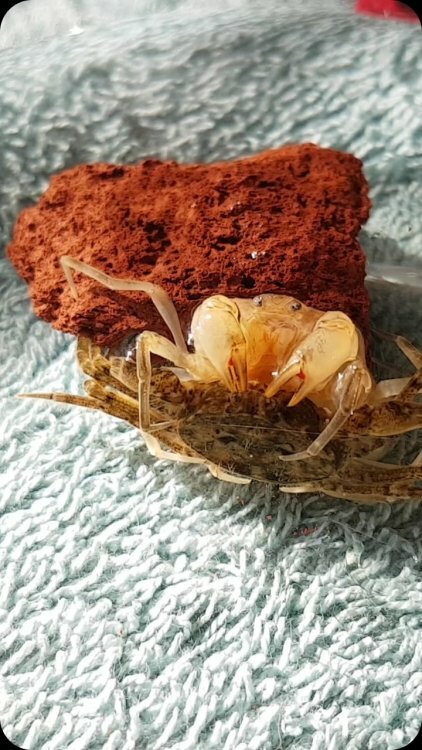 Also have heaps of the Amarinus Laevis freshwater crabs. Love at first sight. Creepy clowns really. Good balls. Utterly fascinating. Added compliments to Amarinus Laevis. The subjects main topic. Did you breed them or go out and catch them? First time, i bought them. Had some casualties and no breeding. Second time i bought 300$ worth! Was very detirmined to breed them. It was about 6-7 months before i saw my first babies. Most didnt survive. Since adding a small amount of Red Sea Marine Salt and allowing mulm buildup on the coral sand, they breed more and more survive to adulthood. I now have a continuous supply. But they take months to grow from babies and males are rare or rarely make it to adulthood. I'm now looking for someone with Amarinus Lacustris, so i can attempt to breed them and native nerites. spectacular. Well done. I think we should establish another backup colony at my house in case something ever happens to yours.... if you ever have any to sell. I had 7 of them for a while, but no berried females. From my reading I think males only live for one year and females only sometimes make it to a second year... so after mating the males are pretty much done for. Definitely. I'm more than happy to help and strongly support others making these work and therefore spread throughout the hobby. Considering how amazing and in my experience hardy they are it surprises me many don't keep them. Breeding isn't as straight forward as people i think assume. 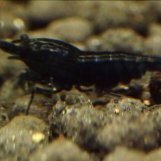 Its not like Neocaridina shrimp. More specific as i found out via trial and error (expensive large losses of crab lives :( ). 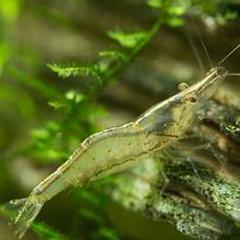 Definitely achievable for anyone willing to have 2-3 tanks specifically for them that understands that crystal clean tanks aren't always the best breeding environments for many small creatures, especially scavenging crustaceans. Mmmm mulm buildup and dirty looking (skank) tanks are a pro here. Has anyone had any leads on these lately? Im about to start hunting for them in Perth. Figured buying would be easier than catching if there is any on this side. Amarinus Laevis the Thai Micro crab Australian cousin mating. The male had freshly moulted. 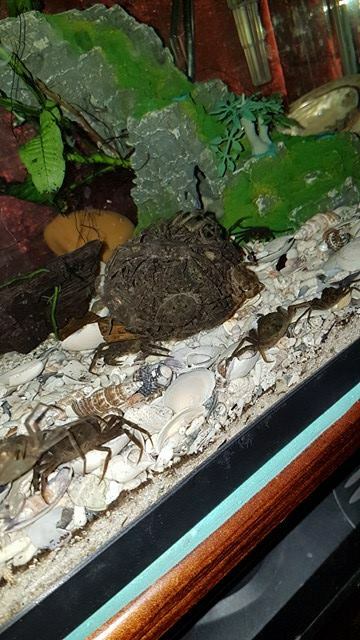 Sometimes I selectively match up pairs instead of the normal harem structure I use (1 personality based chosen male with a dozen equal or larger size females per breeding tank). Like here. Males are so aggressive they frequently kill females or at least remove a few of their legs during mating or eating when left to themselves. This young one while smaller than the female may have killed her if he wasn't diminished by the fresh moult. Putting them on equal ground. She is clearly quite willing as you can see. However he originally chased her down and mounted her into copulation position. You can just see the orange gel sacks on the males claws. They get almost pea size on some adult males. Females don't have them. Feel free to message me Johhny. Its truly fantastic that you are able to captive breed these guys successfully. Do they have a planktonic larvae or do they direct develop into tiny crabs?